Adrenalin Sintetica® is a sympathomimetic amine that acts on the level of alpha- and beta- adrenergic receptors and principally hence on the bronchi, on the metabolism and on the cardiocirculatory system. It is particularly indicated for anaphylactic shock, asthma crises and cardiopulmonary resuscitation. 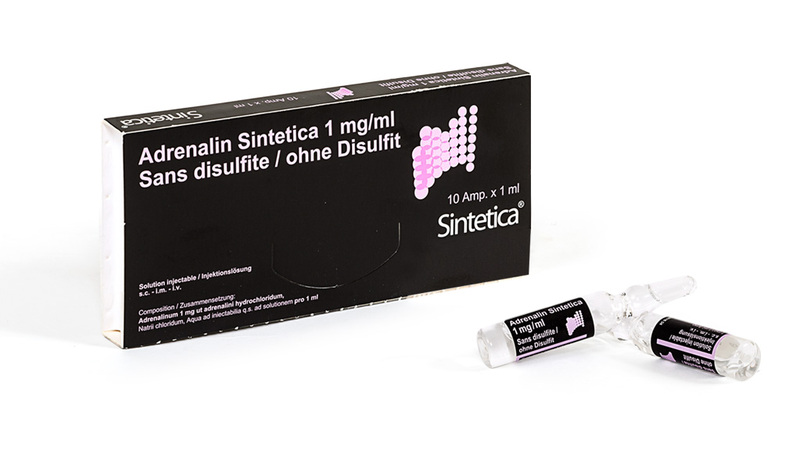 Adrenalin Sintetica® is also used for treatment of iris bleeding and inadequate pupillary dilatation during intraocular surgery, as vasoconstrictor, it is added to local anaesthetics, prolonging the anaesthesia effect.